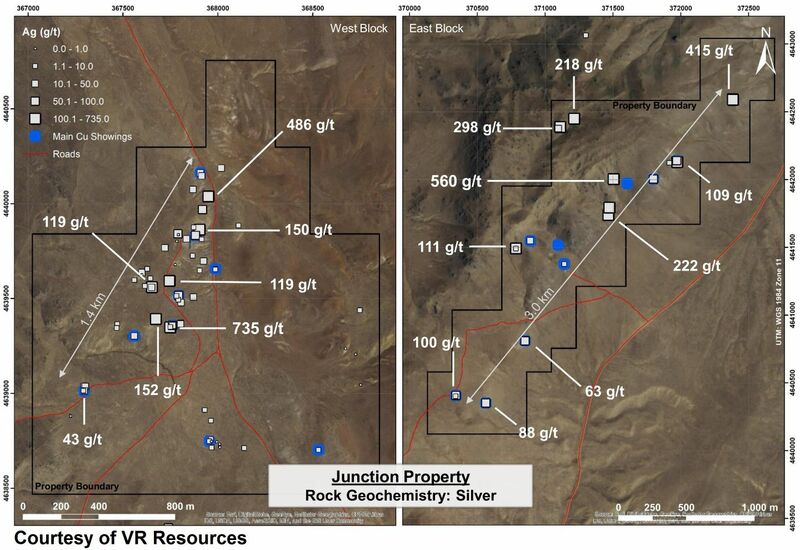 Sold to VR Resources Ltd. Share Interest & Royalty Interest Retained. 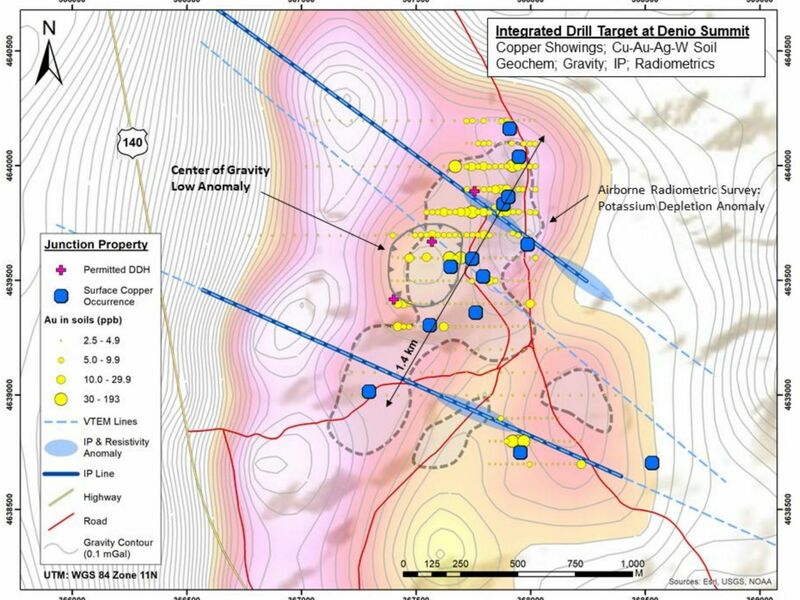 High grade copper-silver-gold in 6km long vein system associated with strong gravity anomaly. Excellent access, 1.3km from highway. Initial payment US$10,000 + 50,000 shares in VR. 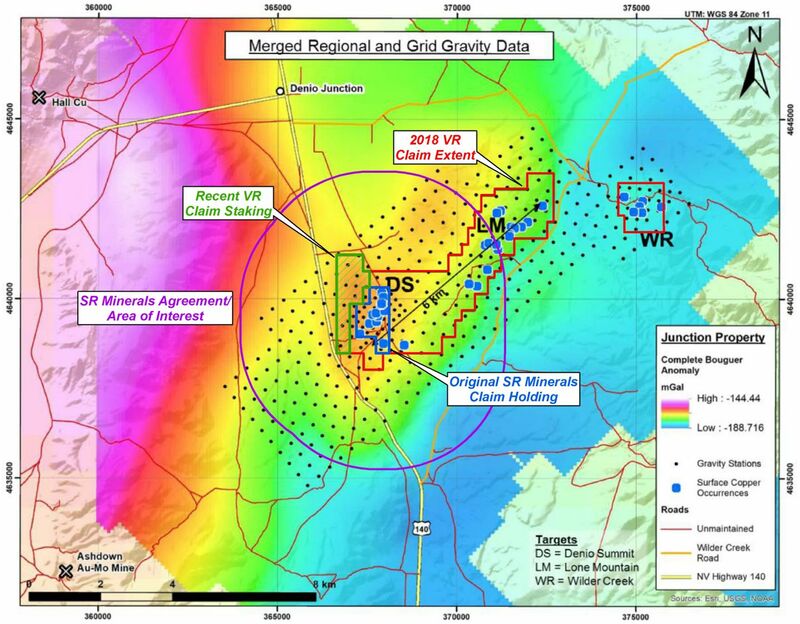 Further payment of 50,000 shares in VR should drilling take place. 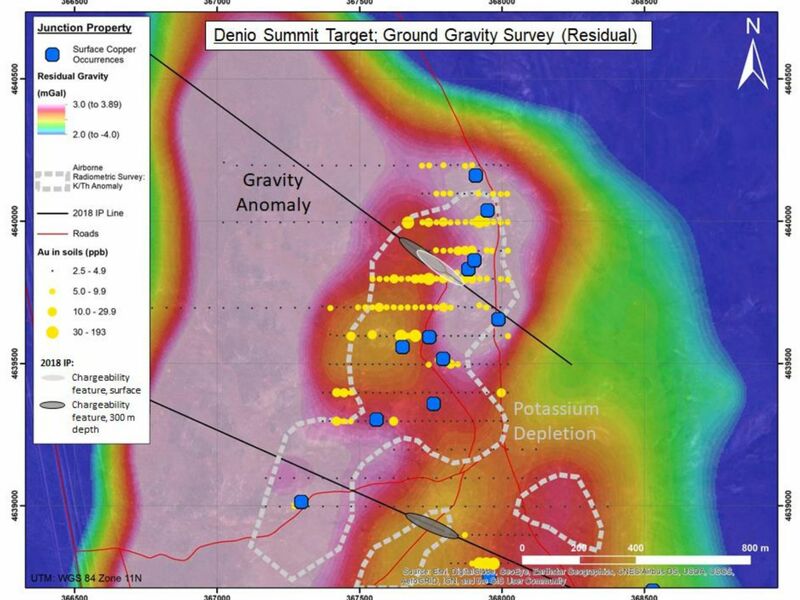 Project returned to Sunrise if no drilling takes place within 18 months of the date of the Acquisition Agreement. Further payment of 250,000 shares in VR should VR complete and file a 43-101 compliant report containing a resource estimate for the Project. 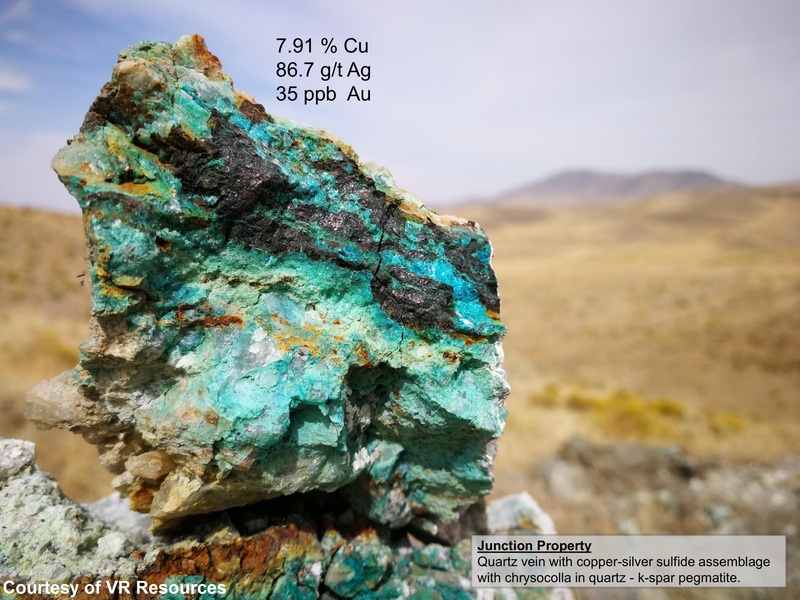 Royalty payments on production equal to 3% of the Net Smelter Return, subject to VR’s right to buy up to half of the royalty entitlement (1.5%) for US$500,000 per half-percent. 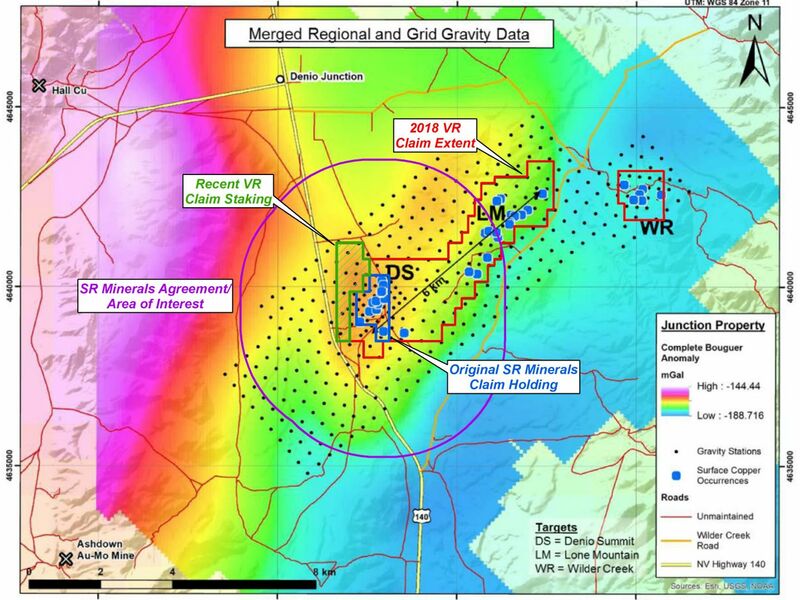 Terms of agreement, including royalty, extend to a 2 mile area of influence from the original Project claim boundary. 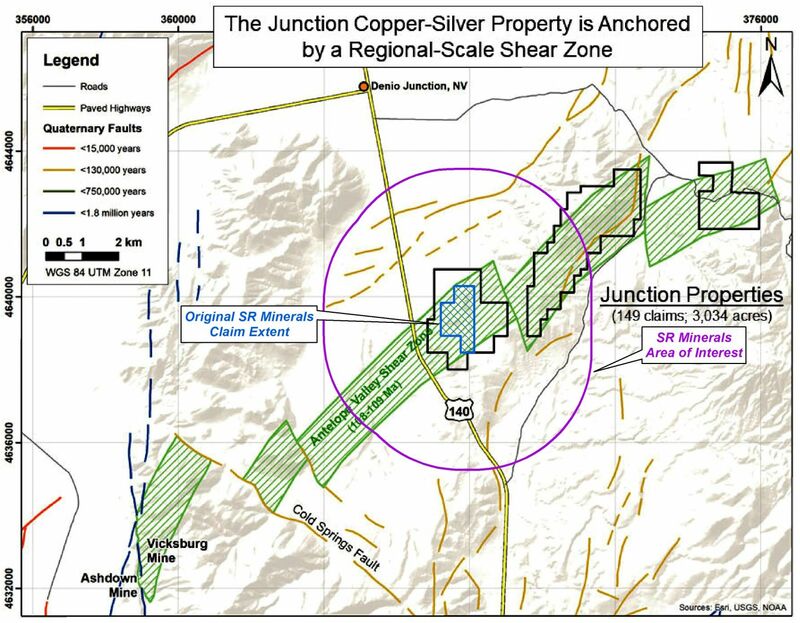 The Junction property is little explored because of its location outside of Nevada’s well-established mineral deposit belts. VR intends to evaluate the gold- and silver-bearing copper sulphide mineralisation evident at Junction for its potential as the surface expression of a mesothermal polymetallic vein system. 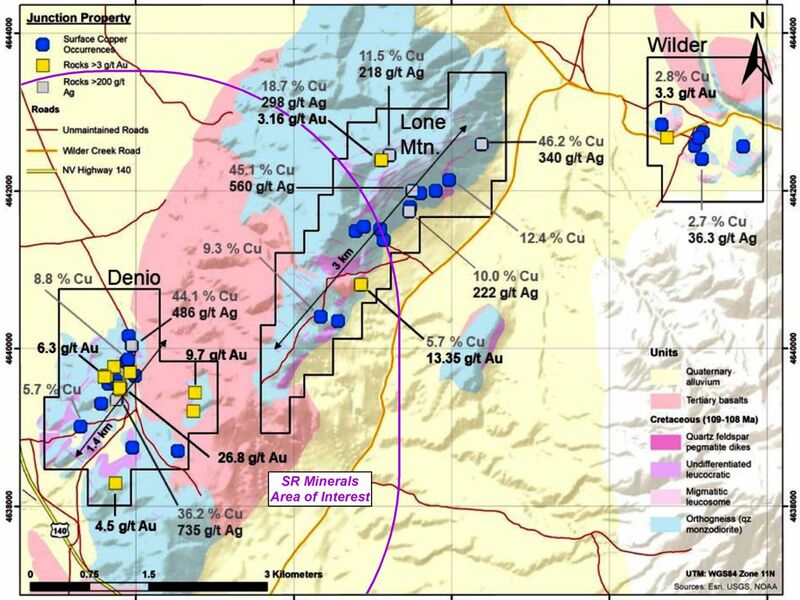 The location within the Antelope Shear zone provides a crustal-scale anchor for a high temperature, copper-silver-gold metasomatic and/or magmatic-hydrothermal fluid system. 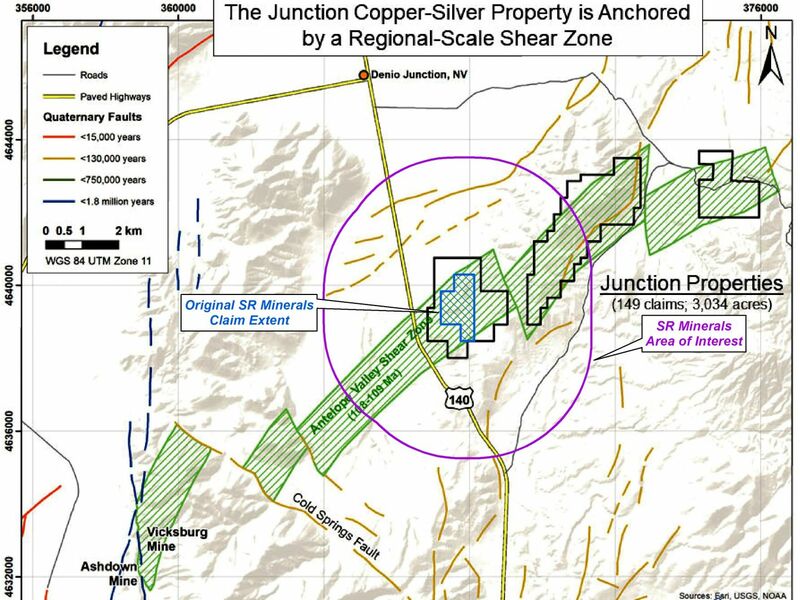 The Junction property is located in Humboldt County, near the Nevada-Oregon border, and immediately east of Nevada Highway 140. 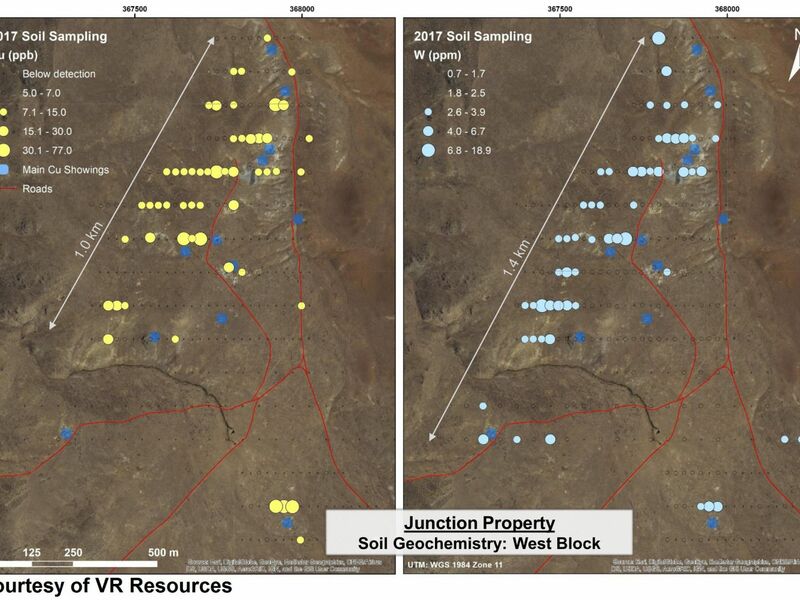 The nearby town of Denio Junction is less than 6 kilometres to the north, and facilitates effective and cost-efficient field exploration programs. The Junction property is at the northernmost limit of the Pine Forest Range. 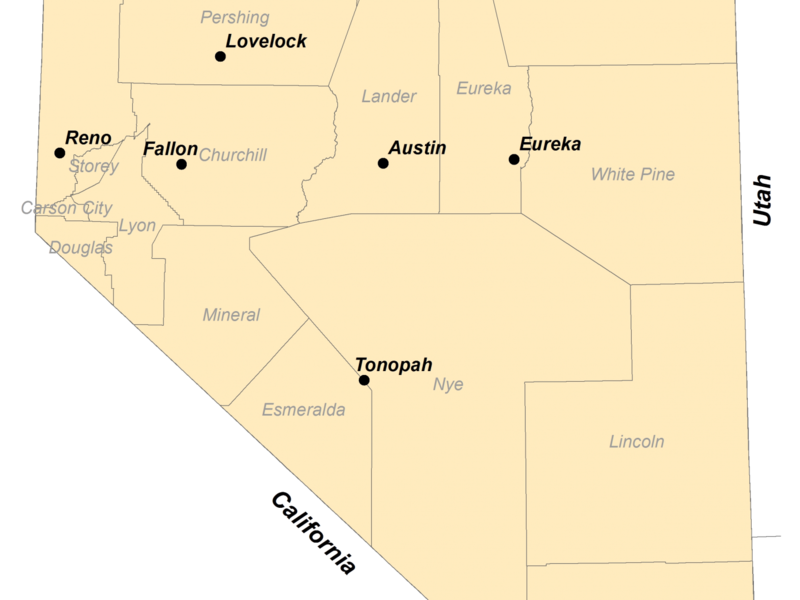 It straddles the divide between the low-lying headwater regions of the northeasterly trending Antelope Valley and Quinn River Valley, which itself ultimately feeds to the southwest into the Blackrock Desert. 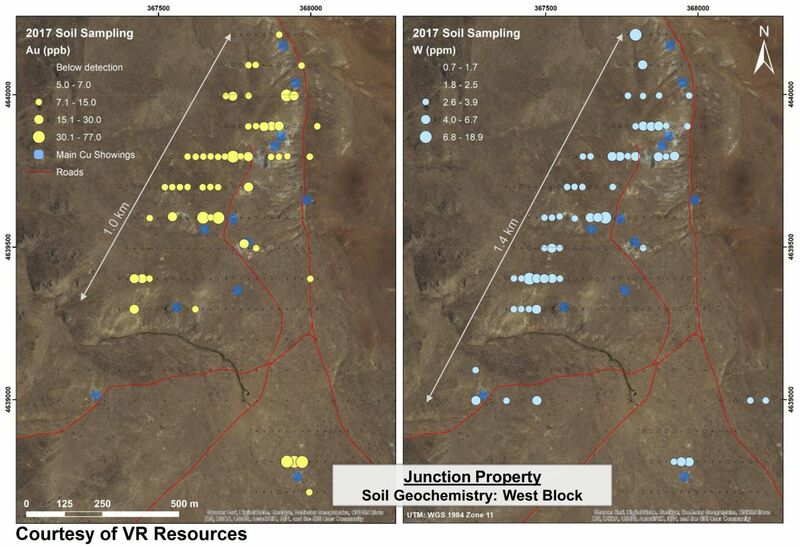 Topography at Junction is subdued. Desert valley floors give way to grassy rangelands on rounded and low-lying foothills of the low-elevation craggy ridgeline of Lone Mountain. There are no pine nor juniper at Junction. Climate is semi-arid to arid, with hot dry summers and cold dry winters. 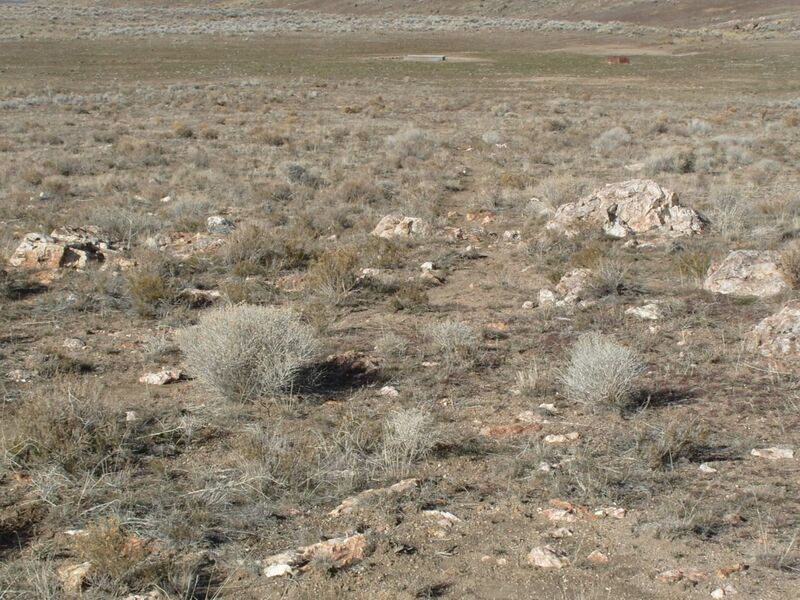 Outcrop exposure is common on the property. 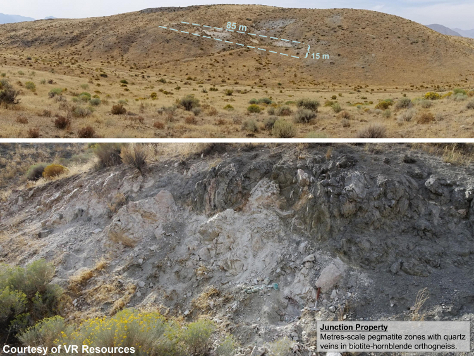 Where outcrop is not exposed, colluvium is interpreted to be local in nature; there is no soil development at Junction, and the development of thick pediment fans is restricted to the eastern flank of the Lone Mountain ridge. Rounded knolls and low relief scarps have a regolith veneer typically less than 30 centimetres thick on top of weathered outcrop. Ridge slopes along Lone Mountain are craggy rubble crop and coarse colluvium. A veneer of tertiary-aged basalt covers the central part of the property. 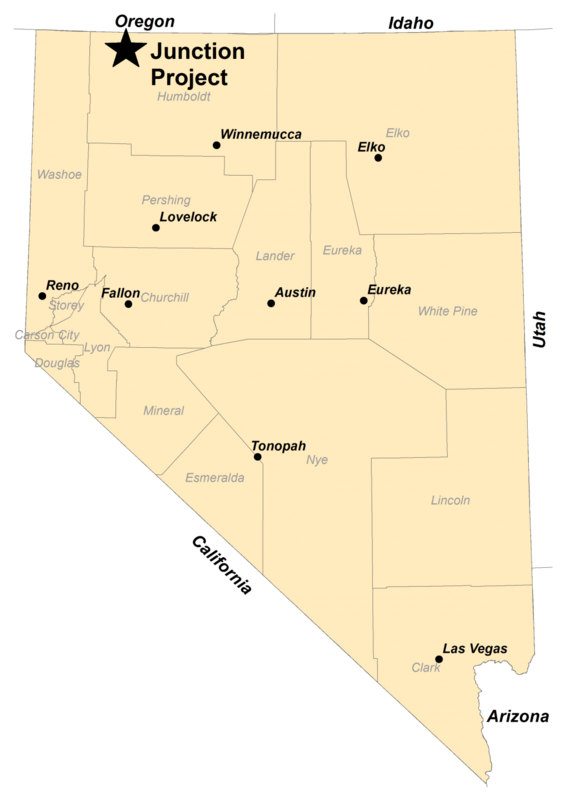 The property is on land administered by the federal Bureau of Land Management (BLM). There are no state or federal land use designations, or privately-owned land which restrict exploration on the property, nor is the property within the BLM’s broadly defined area of sage grouse protection. 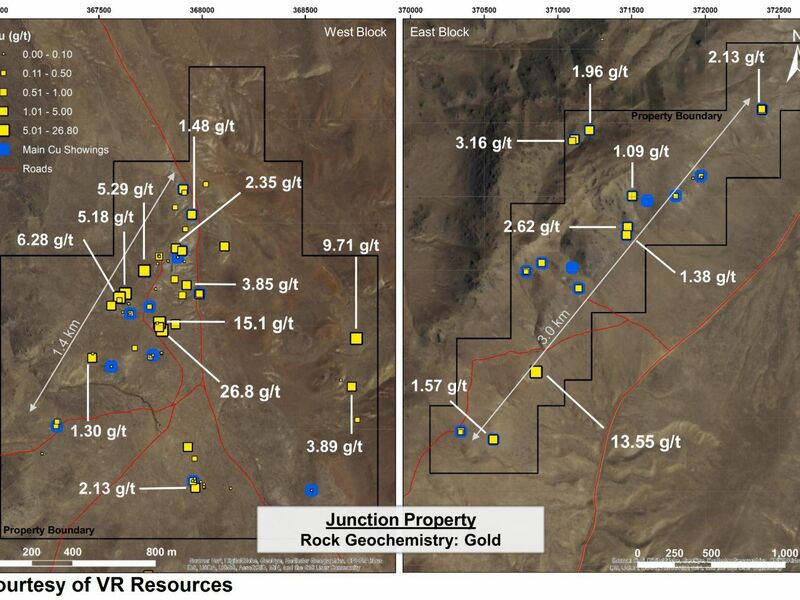 VR completed first pass geological mapping, prospecting, rock sampling and grid-based soil sampling in September, October and November 2017 and a gravity survey in early spring 2018. 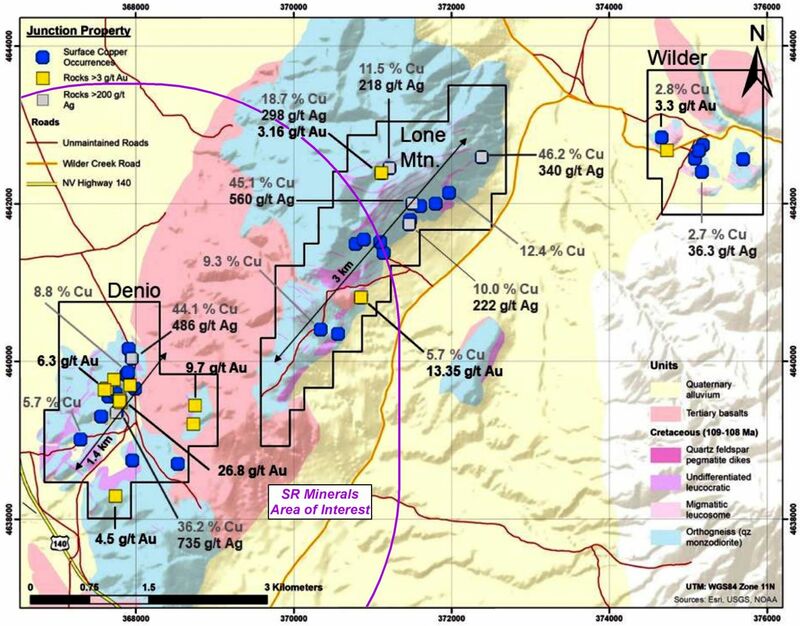 Gold- and silver-bearing copper sulphide mineralisation occurs at surface at the Junction property in two separate northeasterly-trending zones. 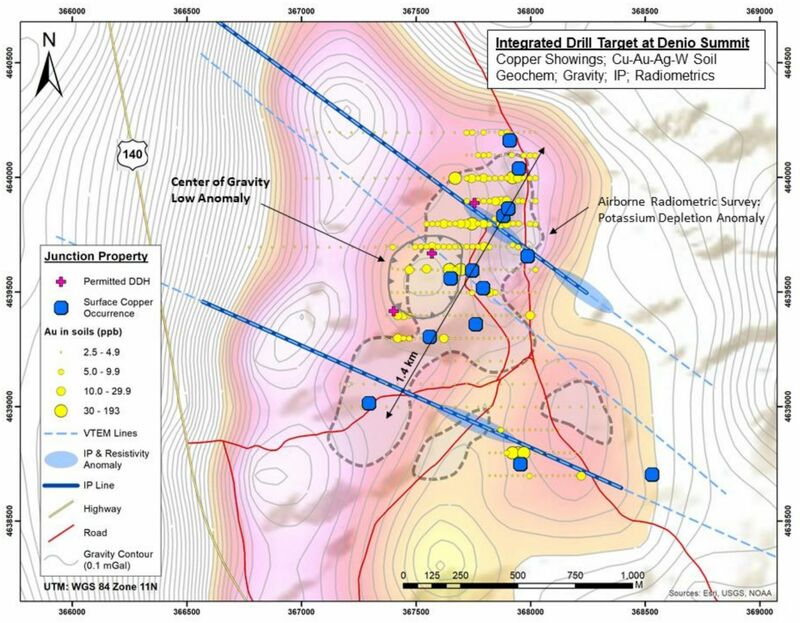 Sulphide zones are related to quartz-k-spar pegmatite dykes and local quartz veins within locally feldspar porphyroblastic, biotite-hornblende orthogneiss. 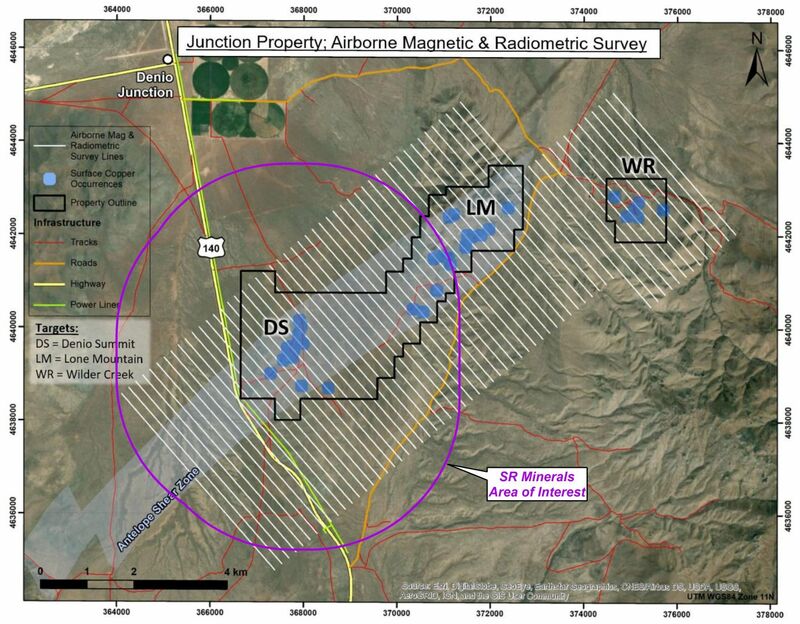 Orthogneiss is the extension of the Antelope shear zone as shown on published maps of the Ashdown mine area located to the southwest of Junction; mapping by VR indicates the shear zone is regional in extent, with a strike length of 18-20 kilometres. 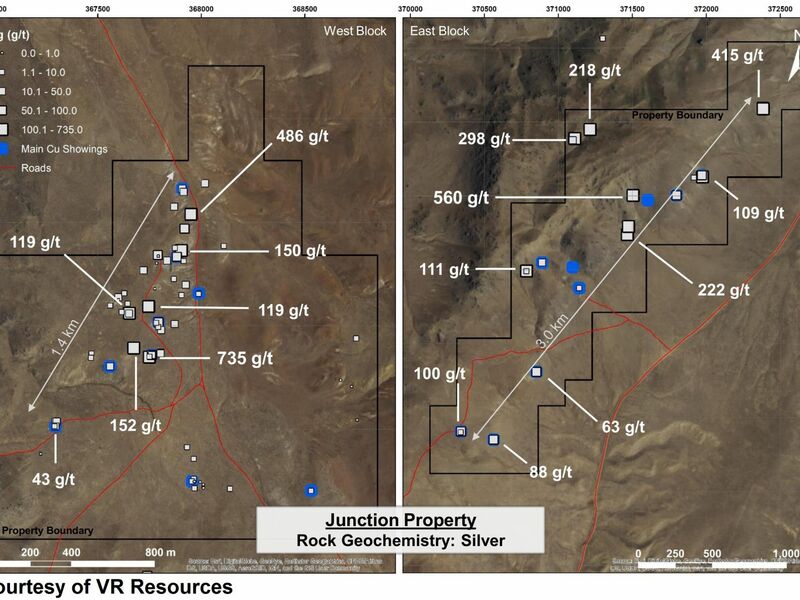 The style of mineralisation at Junction is largely consistent amongst the various outcrops, workings (pits and trench cuts, local adits) and colluvium outcrop rubble along the length of the two zones. Centimetre- to decimetre- scale sulphide clots and veins occur primarily in quartz within and proximal to decimetre- to metre-scale pegmatite bodies. 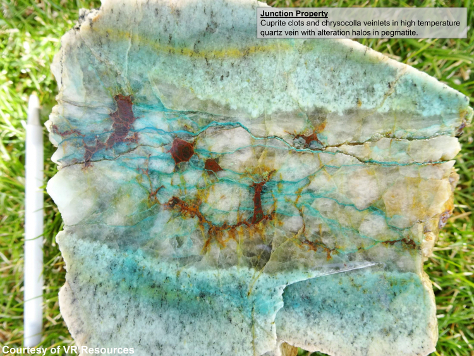 Quartz veins spatially associated with pegmatite are centimetre- to metre-scale, and they are both concordant and discordant to pegmatite bodies. 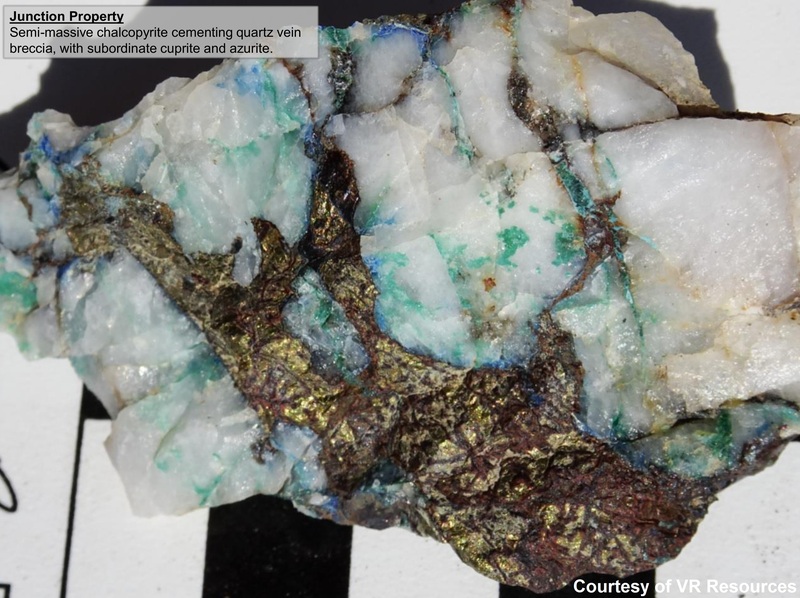 The pegmatite bodies are in turn both concordant and discordant within orthogniess; in places they are sheared by the regional fabric in the orthogneiss, and elsewhere they cross-cut orthogneiss and/or host orthogneiss xenoliths. Sulphide assemblages are digenite-covellite-tenorite-argentite-chalcopyrite with secondary chrysocolla. 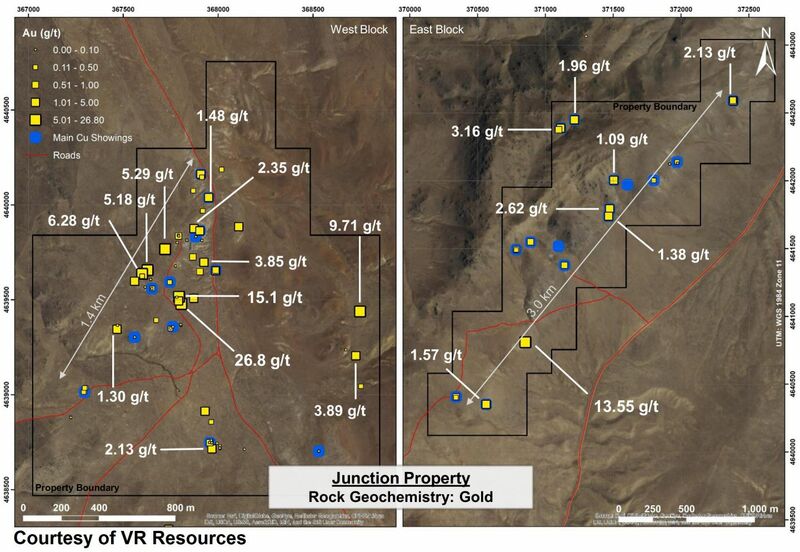 Locally in the western part of the property there are quartz vein sets with metre-scale iron carbonite alteration envelopes within orthogneiss. 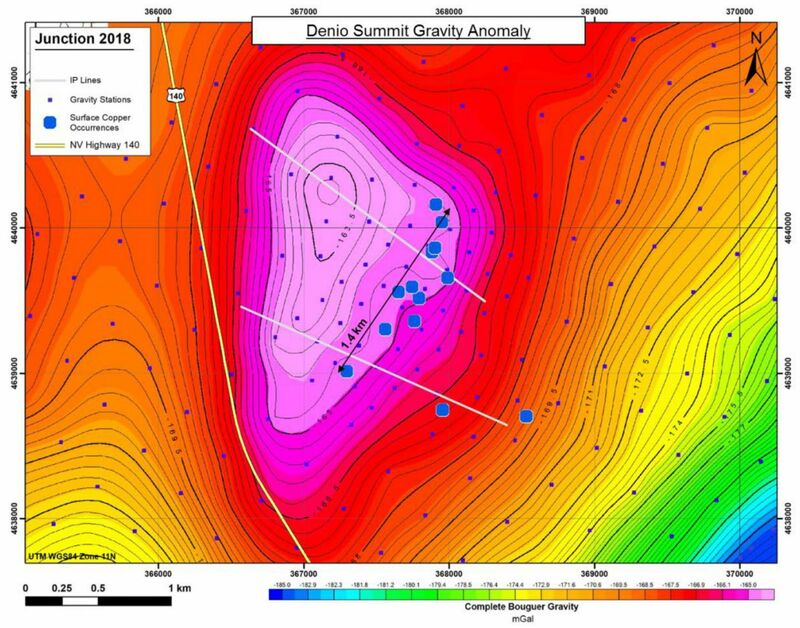 The gravity survey carried out in spring 2018 identified a large high-contrast gravity anomaly at Denio Summit that may represent an apophysis of a large intrusion and associated gravity high located immediately to the west. 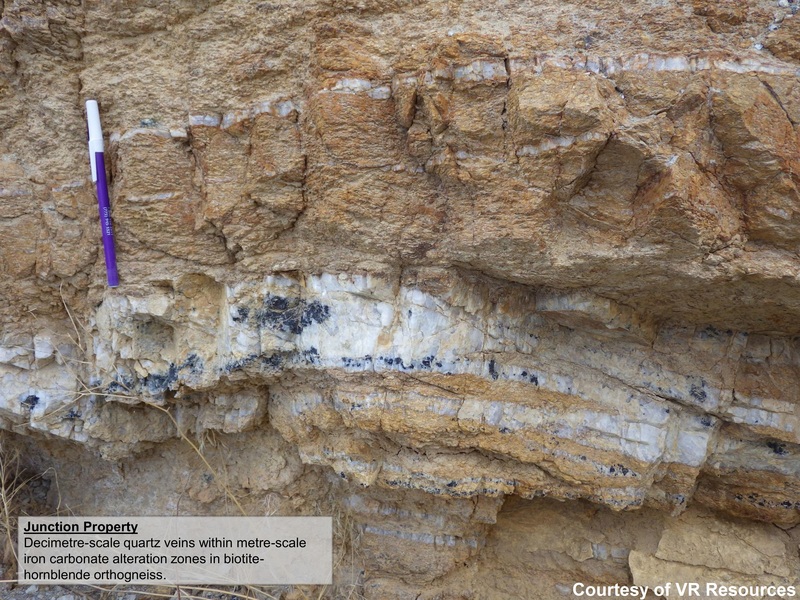 The Hall deposit (Mo-Cu-Au quartz veins in diorite) and Ashdown deposit (Cu-Ag quartz veins in granodiorite) are located at the north and south end of the larger intrusion, respectively. 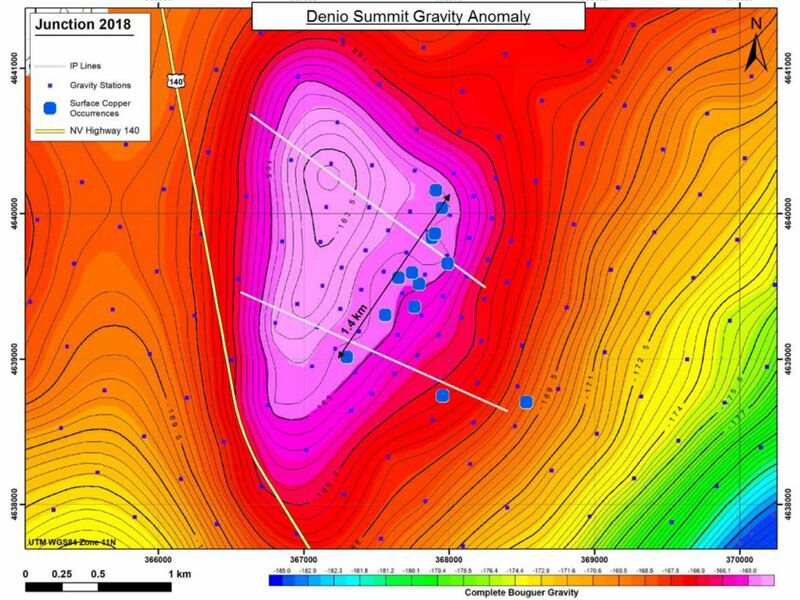 VR has stated that the large, high contrast gravity anomaly at Denio Summit could represent the continuation of the surface copper-silver veins and dykes down-dip to the northwest. 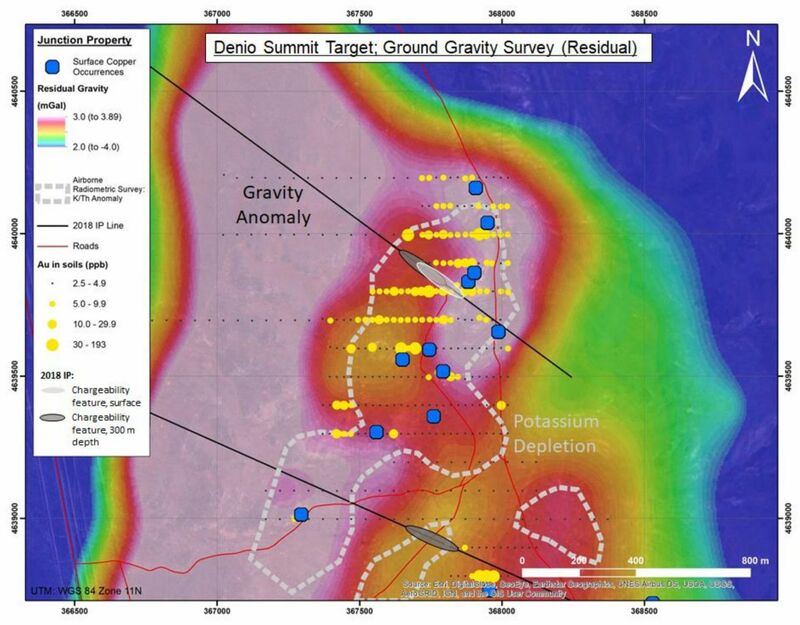 This anomaly and the associated surface mineralisation lie entirely within the Sunrise Area of Interest. 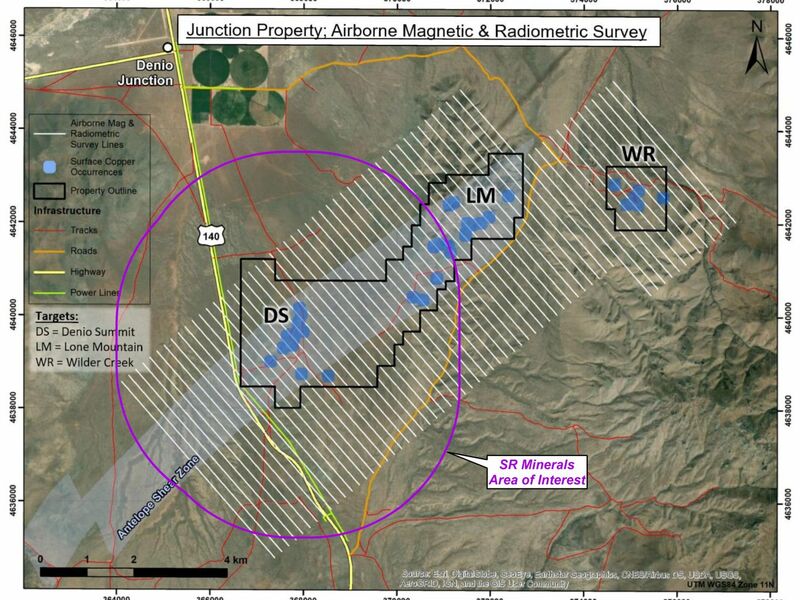 Further exploration panned for spring 2018 at Junction includes IP, airborne magnetic and radiometric surveys. For further information please contact us on info@sunriseresourcesplc.com.